Seneca, Lucius Annaeus, born at Corduba (Cordova) ca. 4 BCE, of a prominent and wealthy family, spent an ailing childhood and youth at Rome in an aunt’s care. He became famous in rhetoric, philosophy, money-making, and imperial service. After some disgrace during Claudius’s reign he became tutor and then, in 54 CE, advising minister to Nero, some of whose worst misdeeds he did not prevent. Involved (innocently?) in a conspiracy, he killed himself by order in 65. Wealthy, he preached indifference to wealth; evader of pain and death, he preached scorn of both; and there were other contrasts between practice and principle. 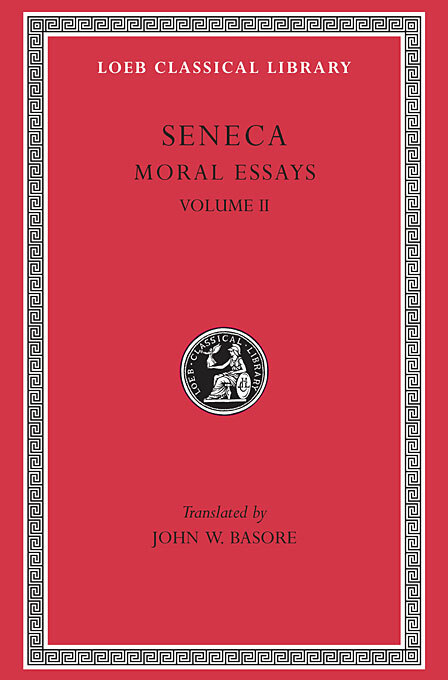 We have Seneca’s philosophical or moral essays (ten of them traditionally called Dialogues)—on providence, steadfastness, the happy life, anger, leisure, tranquility, the brevity of life, gift-giving, forgiveness—and treatises on natural phenomena. 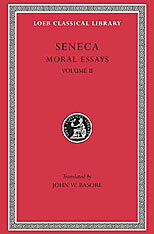 Also extant are 124 epistles, in which he writes in a relaxed style about moral and ethical questions, relating them to personal experiences; a skit on the official deification of Claudius, Apocolocyntosis (in Loeb Classical Library no. 15); and nine rhetorical tragedies on ancient Greek themes. Many epistles and all his speeches are lost.